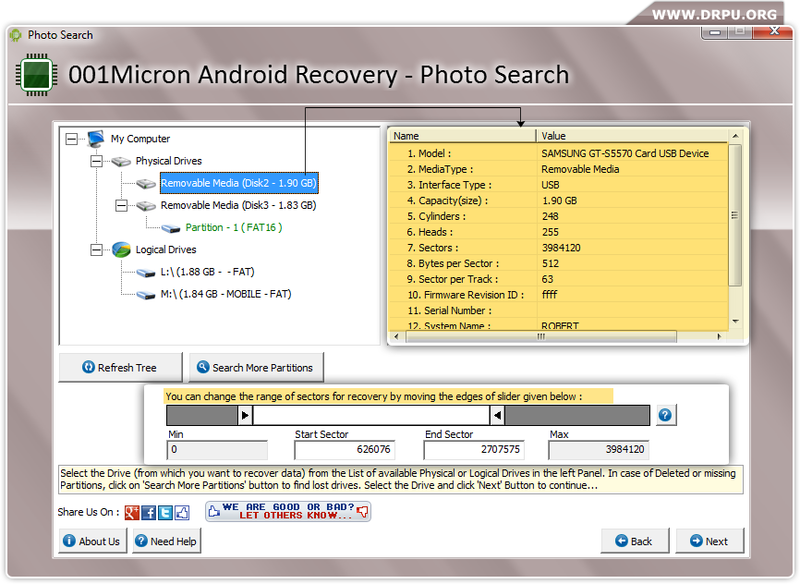 Select partition from which you want to recover lost or deleted data files and click on 'Next' button to continue. 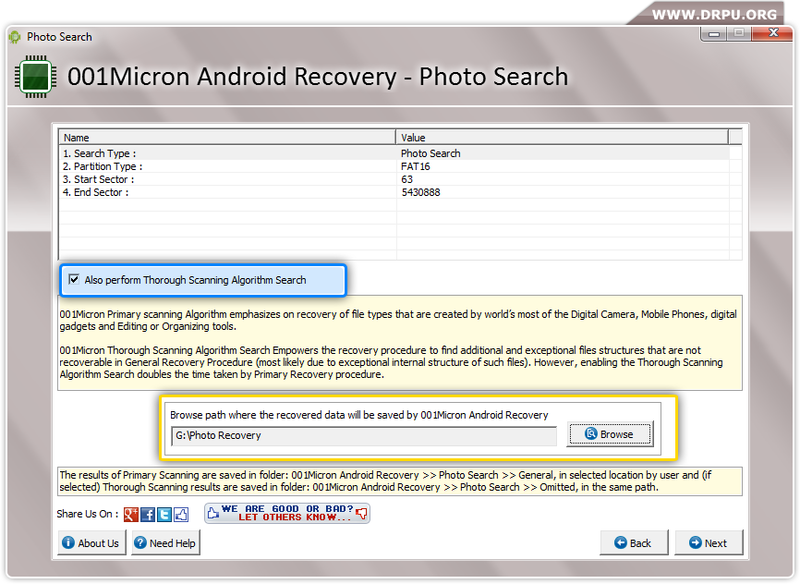 You can also perform Thorough Scanning Algorithm Search for data recovery. 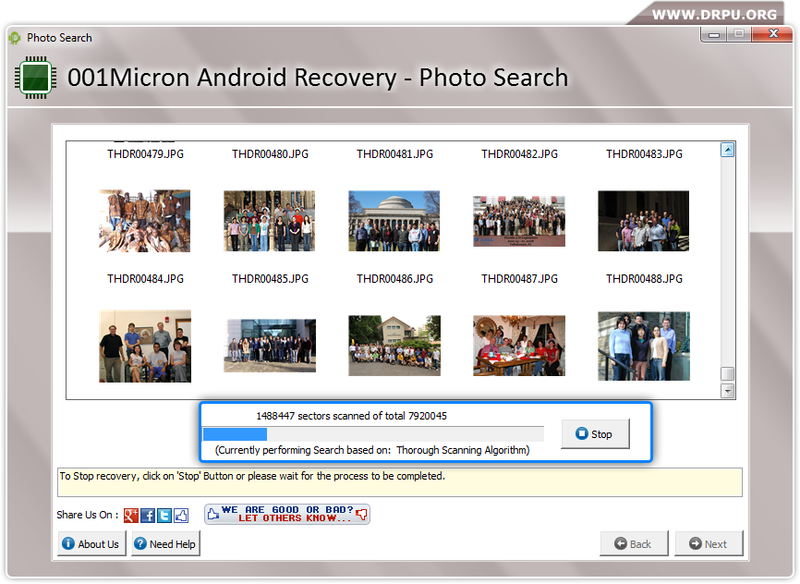 Browse path where you want to save recovered data files and click 'Next' button to proceed. Currently performing disk scanning process to recover lost data using “Thorough Scanning Algorithm”. Data files are recovered successfully. 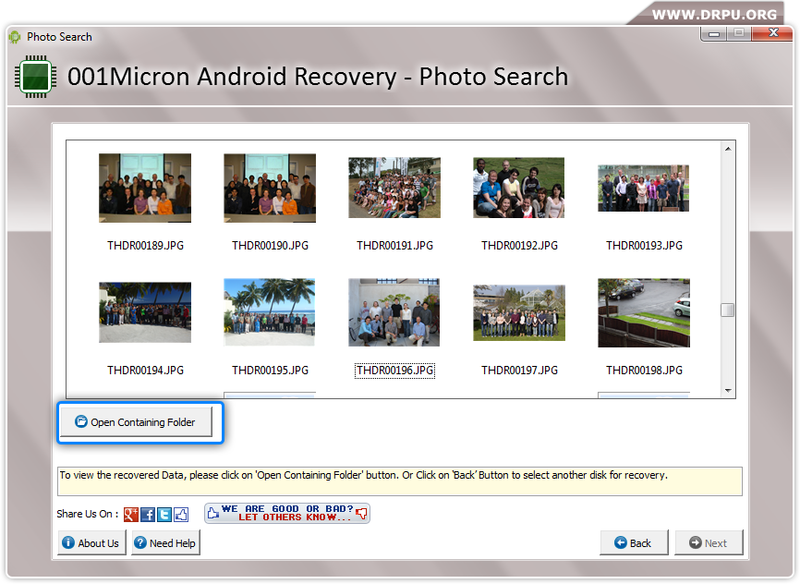 To view recovered data click on 'Open Containing Folder'.